Holy Wind... Don't mind my hair in these pictures. It has been sooo windy here this week. I have given up trying to fix it! LOVE this layered look! 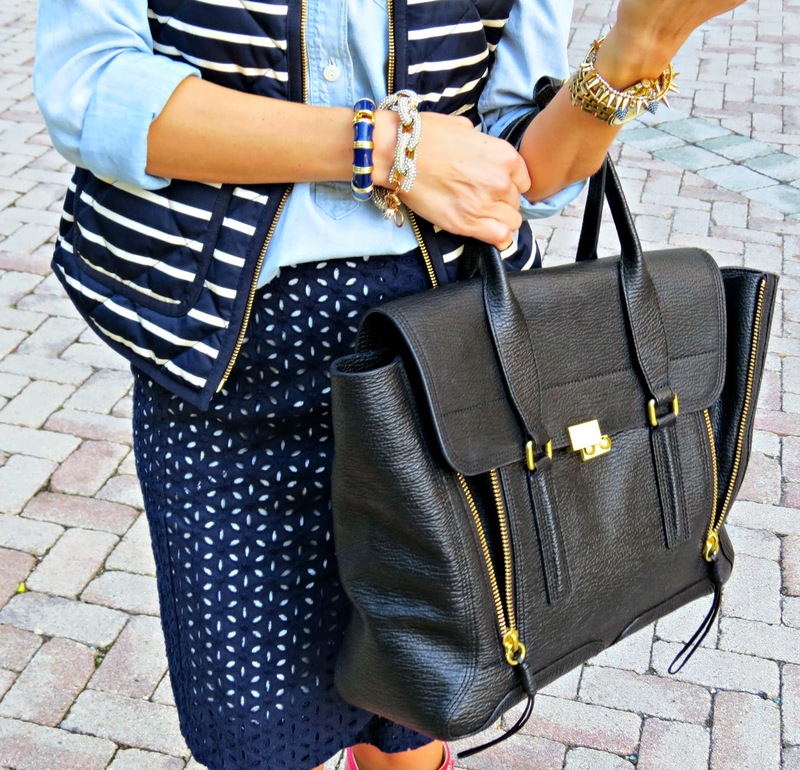 That vest looks great with the chambray! You look so adorable!!! Loving how you styled this outfit with the red Hunters, love it!! The vest is great! I'm from S. FL too and you're right, the wind has been crazy! you have amazing hair! 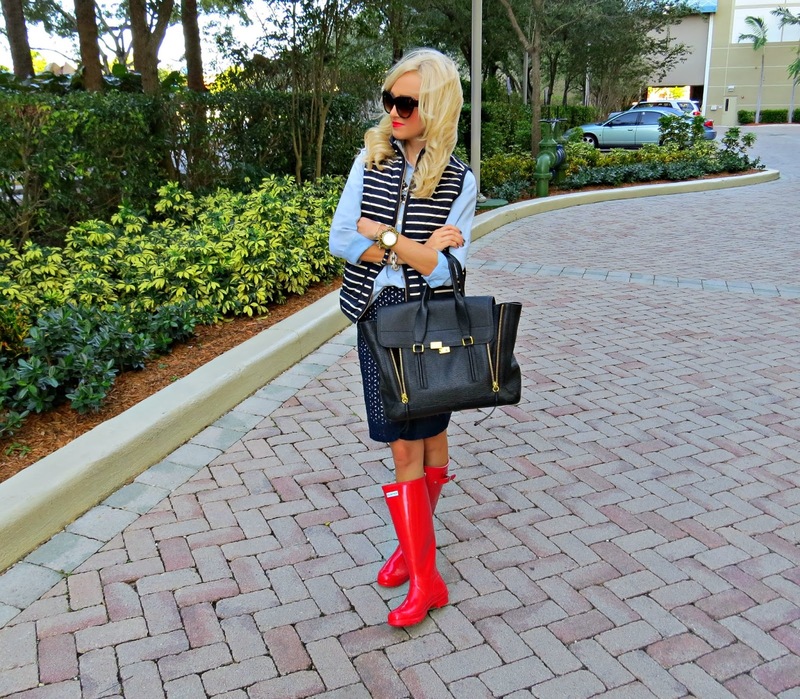 Also i love those bright red rain boots with this look - unexpected but somehow it works. I love seeing you wearing your Wellingtons you look really yummy and they are so stylish, I often go out with my Wellingtons on and sometimes wear them when I meet my boyfriend he likes them too. What a great look! So fun! LOVE that skirt! We've been have tremendous wind here, too. It's not great for outdoor pics :/ but you look great, as always! I love all the mixed prints in this outfit! You look great! I love the pattern-mixing! Great boots too. Always so flawlessly put together!